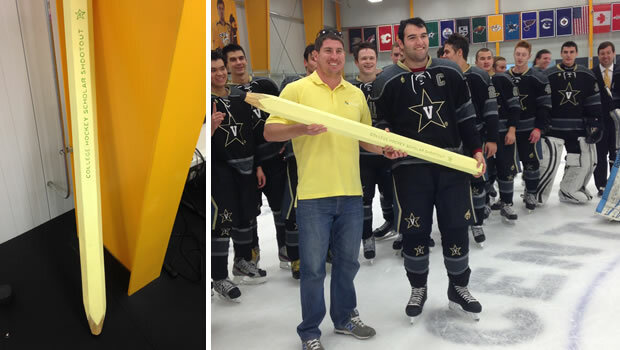 Vanderbilt Hockey hosted and won the first ever College Hockey Scholar Shootout in October 2014, claiming the Keith Davis Memorial Trophy—“The Davey”—as their own. The Davey, unlike any other trophy in sports, is a giant pencil, honoring the academic rapport of the schools in attendance. 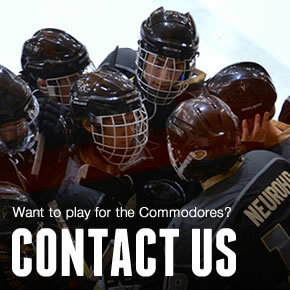 The Commodores are looking for Scholar Shootout Championship No. 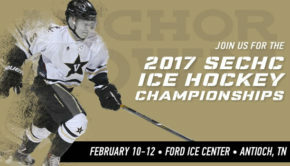 2 this weekend at Ford Ice Center, with Notre Dame, Duke, North Carolina, Northwestern, and Georgia Tech in town for three games apiece. Sizing up the matchups, Vandy has all the write tools to defend its title. 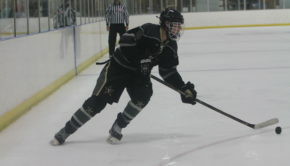 Longman led the team with 39 goals last season, while his linemate Ryan Doppelheuer scored 36 times. Between those two scorers and passer-extraordinaire Nick Honkala, Vandy’s top line is so good, they’re mechanical. The ‘Dores open the tournament Friday night at 7 PM against Notre Dame and close out the weekend on Sunday at 11 AM against North Carolina. On Saturday, Vanderbilt faces Northwestern at 2:15 PM, as the Wildcats look to erase the sour memory of last year’s second-place finish. As the Commodores chase the greatest trophy in sports for the second year in a row, make sure to follow along on twitter @VandyIceHockey using the hashtag #BecauseItsThePencil as the ‘Dores look to repeat as Scholar Shootout champions. Get the lead out of your boots and come down to Ford Ice Center to watch the action this weekend.